Two days before Jasmine Rosa was to marry A.J. Rosa at the Meriden City Hall, Jasmine’s Benchmark family offered to host her wedding at the community. 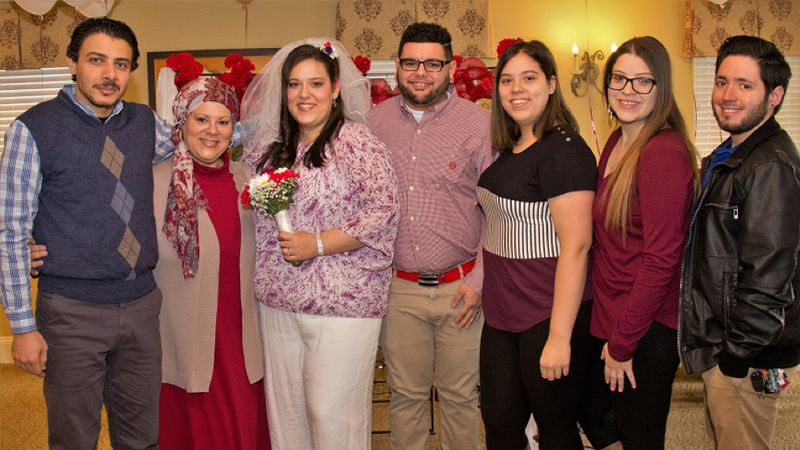 Program Director Leonora Rodriguez, Director of Community Relations Edesa Ciscar and the programming department sprang into action and planned every detail of a lovely wedding. 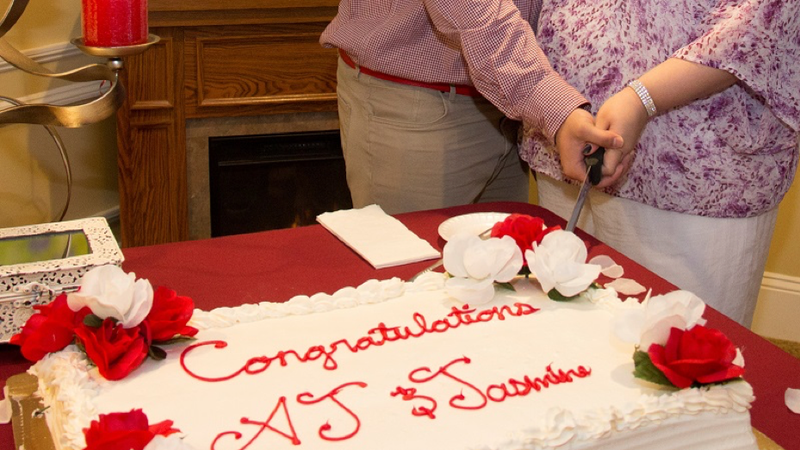 Residents, associates and the couple’s friends and family joined in the celebration. 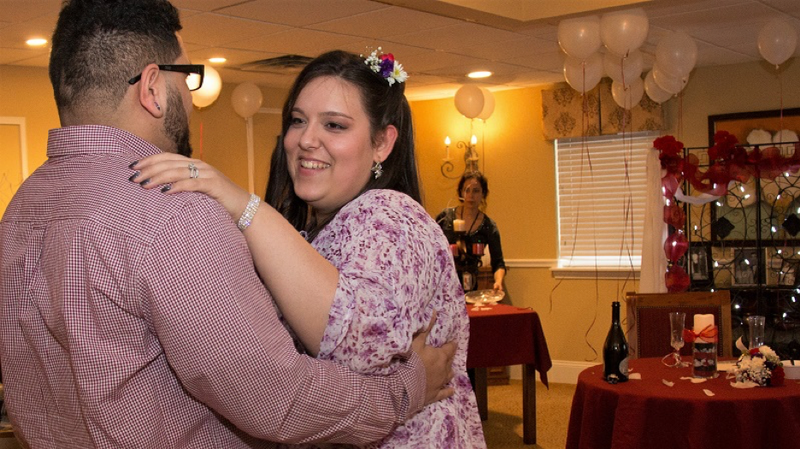 In a moving expression of “connecting to what matters,” the Village at Kensington Place in Meriden, Conn., hosted Dining Room Server Jasmine Rosa’s wedding. Residents and associates enjoy the celebration. Jasmine and A.J. cut the cake. As a gift from the Benchmark family, Executive Director William Allyn awarded Jasmine with a week of paid vacation. 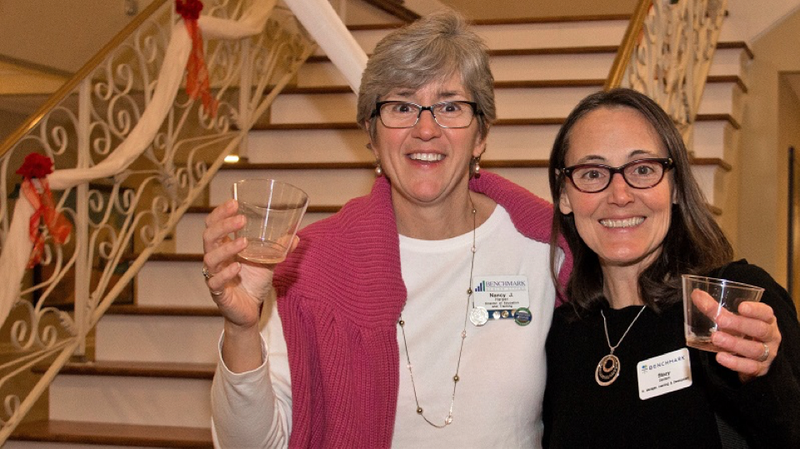 Training and Education Director Nancy Harper, left, and Learning and Development Senior Manager Stacy Davison happened to be running a class in the community and joined in the celebration. Cheers and best wishes from the Benchmark family.